The first frame of the video is usually your first chance to grab viewers' attention. By creating a title for the first frame, you can provide potential viewers with additional information about the video's contents, which can help increase viewers' interest and increase the video's traffic. Make sure to proofread and check the spelling of the text within the title. Keep it simple. The use of bright colors, unusual fonts, and animations may distract or turn viewers away from watching the video's contents. White text on a black background can make the font look slightly larger. Try to keep the title text to one line. Avoid using red, green, or blue for the font color in titles. Save the original image files and Camtasia project file (.cmproj) in case you need to update the video or reuse a title. 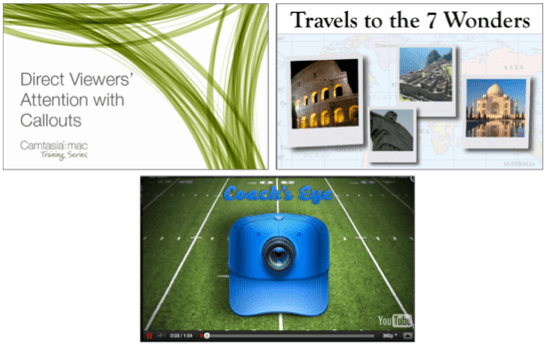 Browse through movie trailers, YouTube, and other websites for inspiration. Use the following features and tools to create your titles. Drag the white rectangle shape onto the desired location on the timeline. Click to select the annotation on the canvas. Drag the handles out to expand the shape to cover the entire area of the canvas. Click the Properties button . 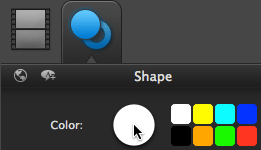 On the Annotation Properties tab, select a color for the shape. The default duration for shapes is 5 seconds. To shorten or extend the duration, click to select the shape on the timeline. Drag the end in or out. Drag the desired text style onto the track above the rectangle shape. 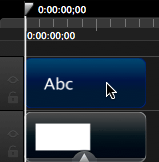 Double-click within the text box on the canvas. Enter the desired text. 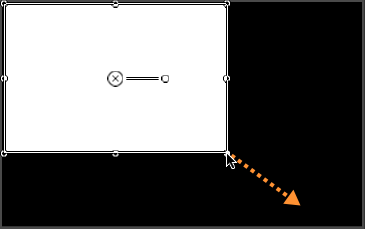 To adjust the size and padding of the text box, drag the handles of the text box on the canvas. To move the text box, click within the text box on the canvas and drag it to a new position on the canvas. Click the Properties button . Edit the font, color, size, alignment, and other text properties on the Text Properties tab. The default duration for text is 5 seconds. To shorten or extend the duration, click to select the text on the timeline. Drag the end in or out. You can also import an image to use for the title or as an asset within the title, such as a company logo. Select File > Import Media. Browse and select the file to import. Camtasia disables any unsupported file formats. Tip: If you want the image to span the entire canvas, resize the image to the size as the video dimensions before importing the file. Camtasia adds the file to the media bin. To add the image to the title, click the Media tab and drag the image onto the timeline or canvas. To move the image, click within the image on the canvas and drag it to a new location. To resize the image, drag a handle on the canvas. If you want to scale the image to fit the entire canvas, Control-click the image on the canvas and select Scale to Fit. To edit properties such as the tilt, rotation, and opacity of the image, click the Properties button . Click to select the image on the timeline and edit the properties on the Basic Properties and Effects tab.